"So, it is not enough to copy and paste someone else’s words, because those words were for another wedding, to be spoken by another person; not you. You are being asked to contribute, you are being asked to speak and only you can speak as you. 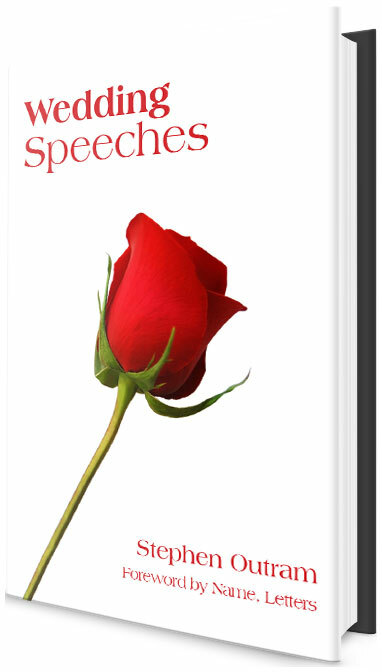 An excerpt from the book Wedding Speeches, Find Out More. How Does Google Actually See You? Thinking About a Publisher for Your Manuscript? Which Type of Writer Are You? Is There More to a Book Than Writing It? Writing On-screen or On Paper? Have You Thought About Writing a Book? Is the First Paragraph You Thinking, Instead of Writing? Copyright © 2005 - Stephen Outram. All Rights Reserved.